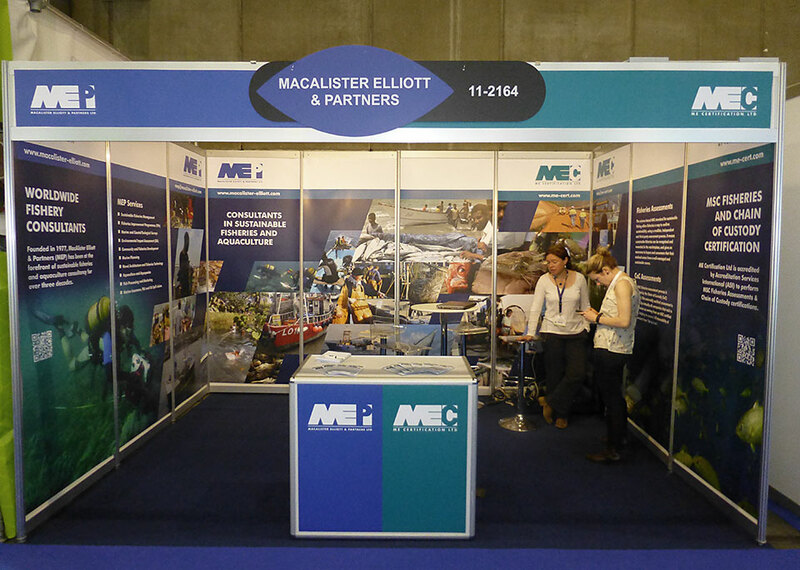 MacAlister Elliott and Partners Ltd is a fisheries consultancy based in Lymington. 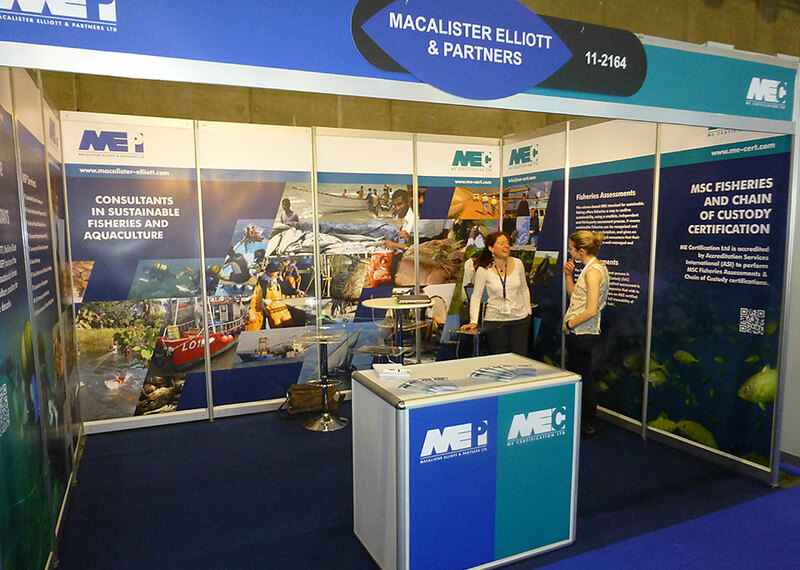 Their new Certification division brought to a head the need to rebrand MEP; and brand MEC in a style that would work alongside the existing company logo, and also as a standalone company. 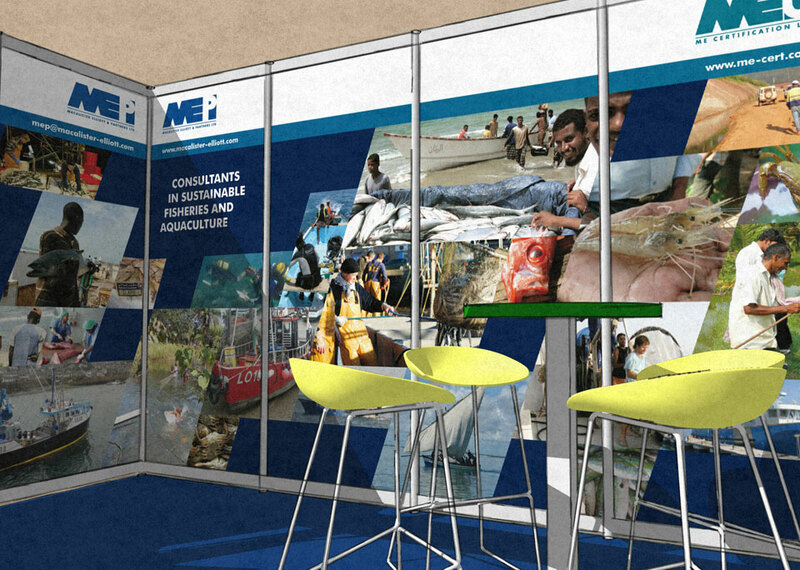 The exhibition stand design for the 2014 Seafood Expo in Brussels had also to work to present the two companies as separate entities, but from the same ‘stable’. 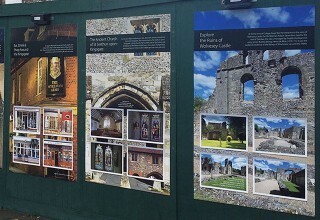 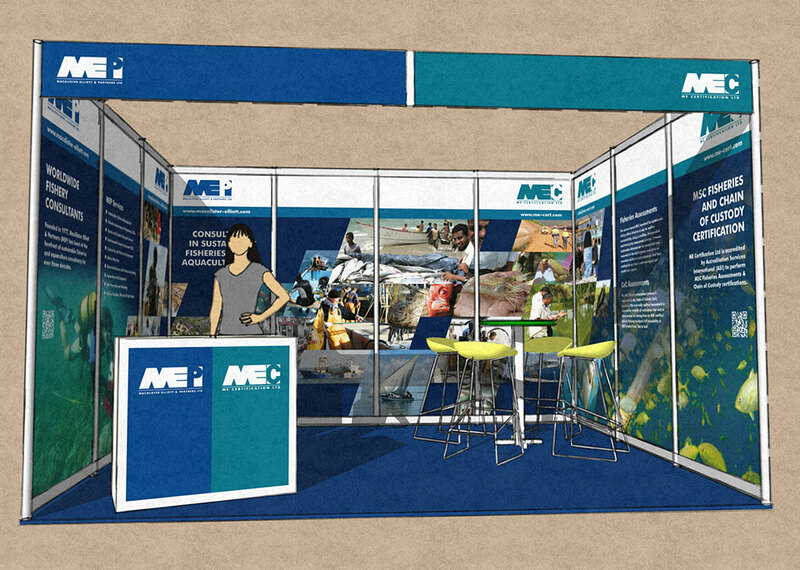 When designing exhibition graphics for a stand such as this, we render a realistic 3D version of the stand using the actual graphics in order to give the most accurate representation of how the stand will appear. 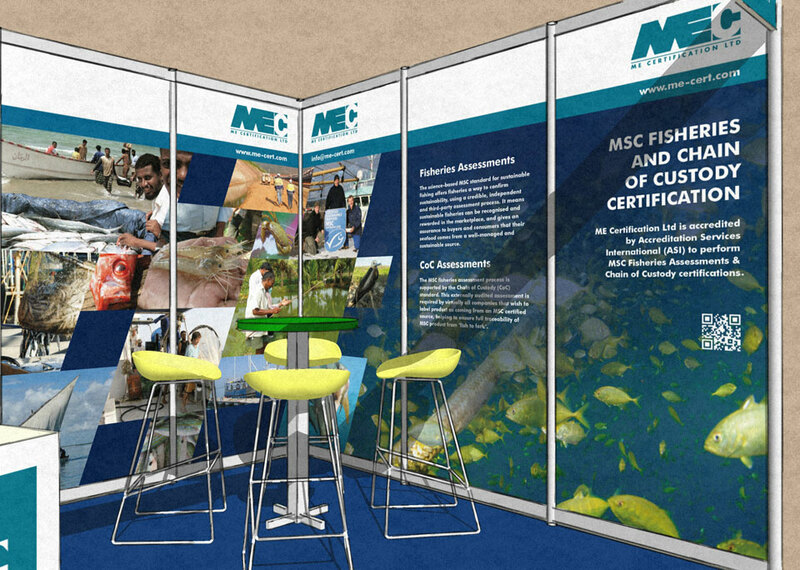 This helps to identify potential design issues in advance, whilst giving the client a much clearer preview of the final result prior to production.